This set of graphics has been produced by GRID-Arendal in co-operation with the secretariat of the United Nations Framework Convention on Climate Change (UNFCCC) for the 7th Conference of the Parties (COP-7) to the Convention, held in Marrakesh, Morocco 29th October to 9th November 2001. 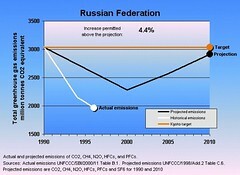 This graphic shows total greenhouse gas emissions from Russia. 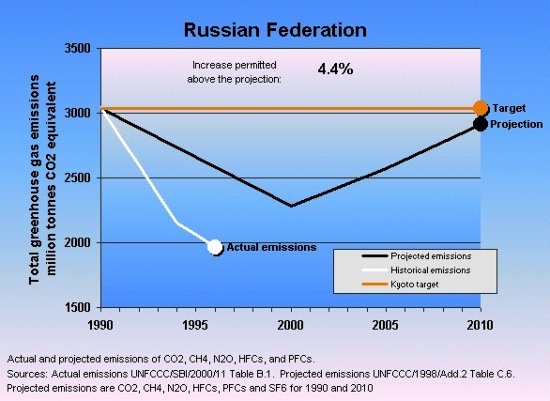 Please note that this graphic is outdated, and has since been replaced with more updated information.